Important information for me. Thanks for really competent informative article. I will be in touch with u. Just found your blog as I was searching about this subject on yahoo and now I am hooked. Spend the entire last hour reading all your blog posts. I am gonna bookmark your site and follow you. My brother suggested I may like this blog. He used to be entirely right. This submit truly made my day. You can not believe simply how a lot time I had spent for this info! Thanks! ï»¿I am extremely inspired together with your writing abilities as neatly as with the format to your weblog. Is that this a paid subject or did you customize it yourself? Anyway stay up the nice quality writing, it is uncommon to peer a nice weblog like this one today. Great goods from you, man. I’ve understand your stuff previous to and you’re just too fantastic. I really like what you’ve acquired here, really like what you are stating and the way in which you say it. You make it entertaining and you still care for to keep it wise. I cant wait to read far more from you. This is really a tremendous website. Useful information. Fortunate me I discovered your site accidentally, and I’m shocked why this coincidence did not happened in advance! I bookmarked it. I just want to say I am just newbie to blogs and actually loved this page. More than likely I’m want to bookmark your blog post . You really come with beneficial well written articles. Thanks a bunch for sharing with us your web site. I simply want to mention I am just all new to blogging and honestly enjoyed this blog site. Most likely I’m planning to bookmark your website . You surely come with outstanding writings. Thanks a lot for sharing your blog. Hello There. I found your blog using msn. This is an extremely well written article. I’ll make sure to bookmark it and return to read more of Lalitha Sahasranamam – An Overview An Encyclopedia of Sri Chakra Bindu Rupini Sri Rajarajeswari Sri Maha Vidya Sri Tripura Sundari Sri Lalitha Parabhattarika . Thanks for the post. I’ll definitely comeback. This web site is actually attention-grabbing i’m searching for is there the other examples? however anyway many thanks a great deal as a result of I found that i used to be yearning for. Wow, wonderful blog layout! How long have you been blogging for? you make blogging look easy. The overall look of your web site is excellent, let alone the content!. 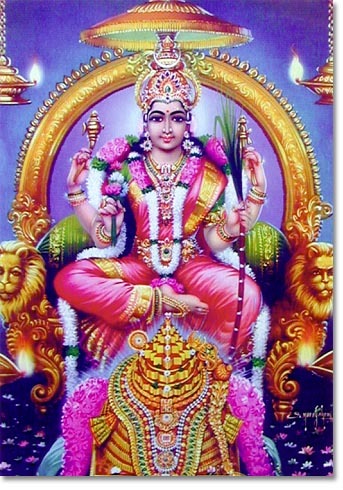 Thanks For Your article about Lalitha Sahasranamam – An Overview An Encyclopedia of Sri Chakra Bindu Rupini Sri Rajarajeswari Sri Maha Vidya Sri Tripura Sundari Sri Lalitha Parabhattarika . I love what you guys are usually up too. This kind of clever work and coverage! Keep up the very good works guys I’ve incorporated you guys to blogroll. It’s a shame you don’t have a donate button! I’d definitely donate to this excellent blog! I guess for now i’ll settle for bookmarking and adding your RSS feed to my Google account. I look forward to fresh updates and will talk about this website with my Facebook group. Talk soon! I’m going to take note of your weblog and return often. I just want to tell you that I’m newbie to blogging and seriously loved this blog. Very likely I’m want to bookmark your website . You amazingly have exceptional stories. Thanks a bunch for sharing your blog site. I just want to say I am just very new to weblog and certainly loved you’re blog. Almost certainly I’m going to bookmark your site . You amazingly come with wonderful articles and reviews. Kudos for sharing your webpage. hi!,I love your writing very so much! proportion we communicate more approximately your post on AOL? I require a specialist on this space to solve my problem. May be that is you! Having a look forward to peer you. Thank you for sharing superb informations. Your web site is so cool. I am impressed by the details that you have on this blog. It reveals how nicely you understand this subject. Bookmarked this website page, will come back for more articles. You, my pal, ROCK! I found simply the info I already searched all over the place and simply could not come across. What an ideal web-site. of course like your web site but you need to check the spelling on quite a few of your posts. Many of them are rife with spelling issues and I find it very troublesome to tell the truth nevertheless I’ll definitely come back again. Some really superb information, Gladiola I detected this. “So long as little children are allowed to suffer, there is no true love in this world.” by Isodore Duncan. I like the valuable info you provide for your articles. I will bookmark your weblog and test again here frequently. I’m slightly sure I will be told many new stuff proper right here! Good luck for the following! I have been surfing online greater than three hours today, yet I never found any fascinating article like yours. It¡¦s lovely price enough for me. In my opinion, if all web owners and bloggers made just right content material as you probably did, the internet will be a lot more useful than ever before. I have been exploring for a little bit for any high quality articles or blog posts in this kind of area . Exploring in Yahoo I finally stumbled upon this website. Reading this information So i am glad to show that I have a very excellent uncanny feeling I found out just what I needed. I most no doubt will make certain to don¡¦t fail to remember this website and provides it a glance on a constant basis. One thing I’d prefer to say is always that car insurance cancellation is a terrifying experience and if you’re doing the right things as being a driver you will not get one. Many people do get the notice that they have been officially dumped by the insurance company and many have to struggle to get supplemental insurance following a cancellation. Low-cost auto insurance rates tend to be hard to get from a cancellation. Having the main reasons with regard to auto insurance canceling can help drivers prevent losing one of the most vital privileges out there. Thanks for the thoughts shared through your blog. Heya i抦 for the first time here. I found this board and I find It truly useful & it helped me out much. I hope to give something back and aid others like you aided me. I simply needed to say thanks again. I’m not certain the things I might have gone through in the absence of those secrets provided by you about such a field. It was actually the traumatic problem in my view, however , viewing a professional mode you dealt with that took me to weep for joy. Now i am thankful for this advice and as well , sincerely hope you really know what a great job you’re doing instructing the others thru your web page. Most probably you have never encountered any of us. I’ve been surfing on-line greater than 3 hours these days, yet I by no means found any fascinating article like yours. It is lovely value enough for me. In my opinion, if all webmasters and bloggers made excellent content material as you did, the web might be a lot more useful than ever before. “Wherever they burn books, they will also, in the end, burn people.” by Heinrich Heine. Real nice style and good subject matter, very little else we need :D.
I’d should check with you here. Which isn’t something I often do! I take pleasure in studying a put up that can make people think. Also, thanks for permitting me to remark! It’s a new shame anyone don’t use a give away switch! I’d certainly contribute to the present great blog! I suppose for the moment i’ll be satisfied book-marking and introducing the Rss feed in order to our Google accounts. We expect fresh messages and can talk about this site along with my personal Fb party. Conversation rapidly! Very informative and great article about the “Lalitha Sahasranama stotram”. Here I would like to share more information about the Lalitha Sahasranamam.